The mounting will be done and provided by SBA. 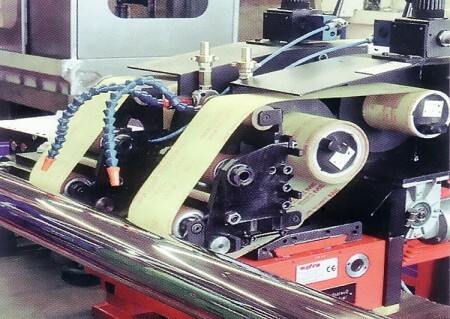 Use of standard finishing tapes for defined roughness of all kind of cover qualities. 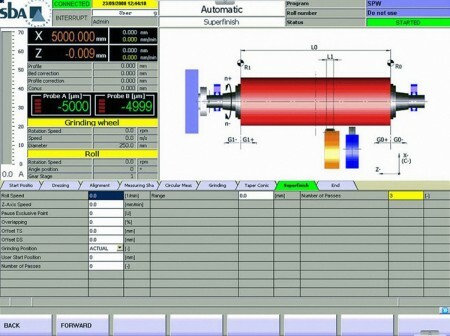 Offset values between grinding wheel centre and super-finishing unit can be entered into the control system. Feed values for overlapping are easily keyed in.